My leaky gut, aka-intestinal hyper permeability, journey is meant to be an encouraging one… by sharing my story I hope to inspire and encourage those that are personally dealing with this health issue themselves. 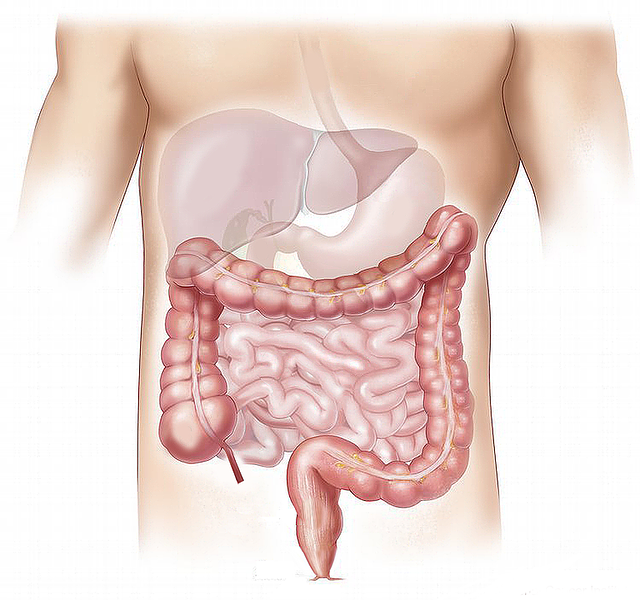 Our gut health is SO paramount to overall wellness and vitality….why? The bulk of our immune system is housed in our gut where we have millions of beneficial bacteria that impact digestion, immunity and hormonal health. Twenty years ago I was diagnosed with Lyme disease after developing the classic bulls-eye rash. This was years before there was a great deal of information available regarding the impact of Lyme disease as well as the long term sequelae. I was started on 6-weeks of antibiotic therapy and never gave Lyme another thought. However, six months later, I developed psoriasis, which is an autoimmune skin condition, but did not make the correlation between antibiotic use and an autoimmune issue. Many years later, I saw a functional medicine physician, she made the connection between my prior lengthy use of antibiotics and the development of psoriasis, and thus, I began an elimination diet on my own. Removing gluten from my diet cured my psoriasis. Gluten was wreaking havoc on my gut health and was contributing to my illness! Remember that psoriasis is an example of an autoimmune disorder whereby our body attacks itself. Other examples of autoimmune disorders are Hashimotos’s thyroiditis (most common reason for developing under active thyroid in the US), Lupus, Eczema or even Rheumatoid Arthritis. A few years ago we had gone through a very stressful few months putting our own house on the market and purchasing a new home, I was still working as an NP for a large cardiology practice, enrolled as a functional nutrition student, trying to launch a business, care for my two young children and husband. Retrospectively, it was a crazy busy time! All the stress, too little sleep and intense exercise really created the proverbial “perfect storm” of stress on my body that likely contributed to developing leaky gut again in the setting of a parasitic infection, lots of food sensitivities and not to mention significant adrenal and thyroid health issues. At least this time, I recognized some of the issues before I was formally diagnosed. I worked diligently with my mentor and a team of healthcare providers to heal my gut, find the root cause of my illnesses and make substantial changes to my personal care and self-care habits. Watch me talk about my personal experiences with Leaky Gut below. Manage Stress: this seems simplistic, but I see far too many people that do not dial-in on their stress levels. Some things we can control and many we cannot. Anything you have some control over (e.g.-limiting electronics, going to bed earlier, saying no to too many social obligations, not over-exercising or over-restricting your diet, etc) should be adjusted. Engage in more self-care: be kind to yourself and ensure you are doing restorative therapies, like yoga, tai-chi, pilates. Spend time with those you love or engage in a hobby you enjoy. If you must take antibiotics, ensure that you are consuming probiotic rich foods and a good quality probiotic (not at the same time as your antibiotic dosing) to help support healthy gut flora. Consider taking Sacch boulardi concurrently. Avoid eating a SAD-Standard American Diet, which is full of too many sugary, salty and processed foods. Instead consume a nutrient dense diet and less processed foods. If you are consuming a highly processed diet, you are at greater risk than someone that is eating fresh veggies, fruits and high quality protein sources. L-glutamine- this is an essential amino acid that our body can use to repair and rebuild our small intestinal lining. it also aids in prevention of further damage to our gut and supporting immunity. It has also been demonstrated to help curb sugar cravings, although I have other “tricks” that I prefer to use with clients that I feel are superior for addressing sugar issues. You can use this in powder form OR consume foods high in l-glutamine like bone broth, GF beef, asparagus, turkey or wild caught fish. Bone broth- this nutrient dense food that has become quite popular in the last few years is incredibly helpful in supplying your body with l-glutamine as well as trace minerals that help reduce inflammation and heal your gut integrity and lining. It is rich in collagen and well as minerals like calcium, magnesium, and phosphorous. Due to the fact that bone broth is made from bones that have been cooked for 24+ hours, it is easily digestible, which is exactly what your gut needs. Aloe Vera juice- this liquid is incredibly soothing and supportive to the gut and irritated mucosal linings. It can also reduce inflammation and boost immunity as well. Some clients are not huge fans of the taste, so you may want to disguise the taste or just throw it into a drink or smoothie! When all else fails…what test(s) can you ask your MD, NP, PA or nutritionist to order? Food sensitivity testing, I use the MRT or the Mediator Release Test, which helps identify foods that are contributing to inflammation in your body. If your gut is permeable, it means that food particles are leaking into your blood stream, which stimulates the immune system to go into hyper-responsive mode and create antibodies in response to this process. Testing is an essential first step. I see many clinicians who overlook this crucial test. Stool testing, I use Doctor’s Data Panel, reveals the amount of beneficial to non-beneficial bacteria in your gut, along with any pathogenic bacteria, like candida or a parasitic infection, it also provides inflammatory markers, and overall intestinal health. Blood labs- possibly CBC, CMP, iron studies, thyroid and adrenal labs to ensure that any contributory issues are also addressed. And, most importantly, determining the ROOT CAUSE of your leaky gut is absolutely imperative! Examples, gut dysbiosis, underlying infections from parasites, candida, bacteria, SIBO, long term antibiotics, poor quality diet or stress. Only then can you truly heal. Best wishes on your healing journey and reach out if I can help!